Verbier is a village in the canton of Valais in southern Switzerland and is one of the best and most extensive ski resorts in the Alps. It hardly shuts between seasons - bar a few weeks in May and October - otherwise there’s always something happening in this gem of a ski resort. The location is more than stunning, with views of both the Matterhorn and Mont Blanc. There are 80 lifts accessing 400kms worth of runs - where the snow is pretty reliable - the thrills are too - and the après ski is arguable the best in Switzerland. Book early or late and you’ll probably still find great snow as well as a great time. The best places to stay in Verbier range from grand ski hotels to luxury mountainside hideaways. Most people won't look beyond the skiing here and that's completely justified as the resort offers some of the best skiing in Europe. There's plenty of options outwith the ski season and one is the boundless opportunities for mount biking in the summer. The surroundings are full of great hiking routes such as the Croix de Coeur. Take day trips out to beautiful lakes such as Lac de Louvie and Lac des Vaux. 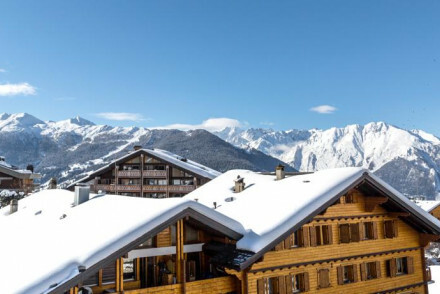 The resort is an extremely popular spot, especially during the winter, so if you want to nab a room at one of the best places to stay in Verbier be sure to book well ahead. 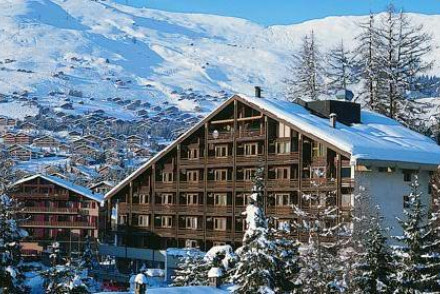 For those who are intent on skiing hard, Le Chalet de Flore is great option. An elegant property with excellent rooms, great views and most importantly, prime access to the slopes. 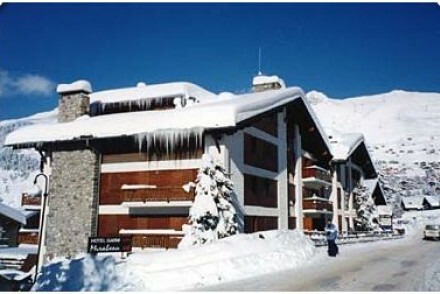 The Hotel Mirabeau is a great value B&B in an excellent location just minutes from the Medran lift. Offering comfortable accomodation, this is definitely one for those who want to get up for the first lift and down after the last. 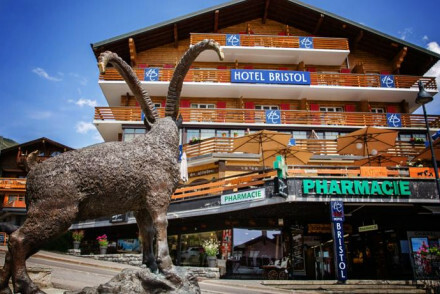 If your skiing holiday is all about the nightlife then look no further than The Nevai. A boutique hotel bang next door to the Farm Club. Boasting its own hip bar as well as a great spa, it's an ideal spot for a lively trip to Verbier. Alternatively book in to the Bristol. This hotel is situated on the place centrale, is very reasonably priced and offers a great breakfast. Another well situated option would be the Central Hotel, but with only 8 bedrooms, you have to book ahead. 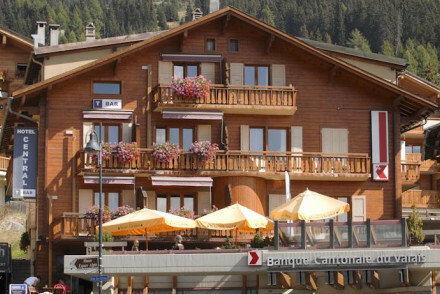 For those travelling en famille, a great spot to stay in Verbier is the Hotel Vanessa. This property has recently undergone some renovation and offers great suites and duplexes. 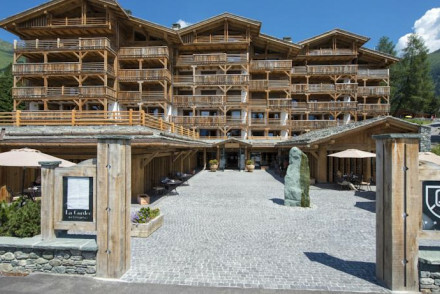 Hotel La Rotonde is a bit of a Verbier institution. The style is definitively alpine with blazing fires and pinewood decor. Offering excellent family rooms, it's great for a family skiing trip. 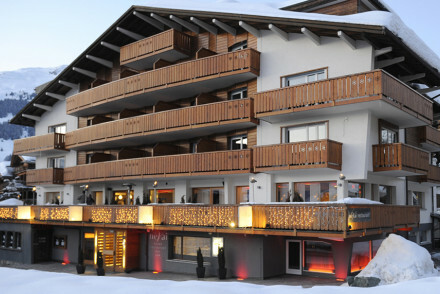 W Hotel epitomises a new breed of skiing hotels that places emphasis of sharp contemporary design. An extensive spa, nightclub and host of excellent restaurants are just a few of the things on offer here at this stylish hotel. Hotel Vanessa combines a traditional alpine hotel with modern luxury. Featuring minimalist rooms, a trendy bar and a deluxe spa, it's the perfect place to retreat to after a long day on the slopes. Enchanting views and superb hospitality rule the day at Le Chalet d'Adrien. With sumptuous rooms, an indulgent spa and a first-rate restaurant, this hotel is a something of a haven on the hillside. To get to Verbier either fly to Geneva (109 miles) or Zurich (196 miles). For those looking for car hire, visit our online partner Rentalcars. If you are there for the snow, skiing gets started in December and runs up until April. But summer is also a good time to visit if you're keen on mountain biking, golf, hiking and much more, with average highs in the late teens celcius. 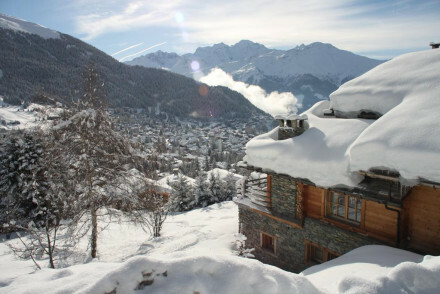 Browse through our list of the best places to stay in Verbier and start to plan your stay. 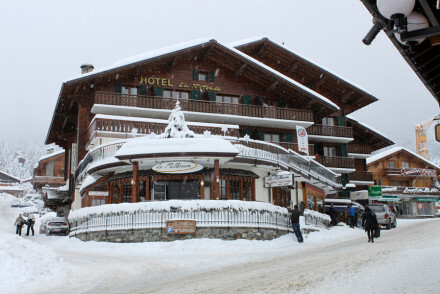 Alternatively have a look at our selection of hotels in Zermatt. Great value in a wonderful location. 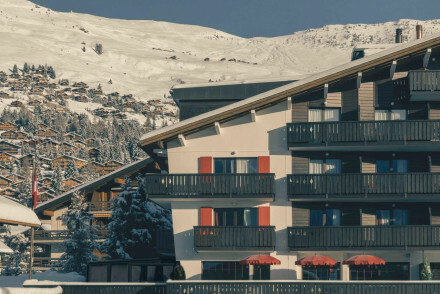 The Hotel Mirabeau provides everything keen skiers could want from their holiday B & B accommodation, and it all comes with a smile. Skiing - Two minutes from the Medran cable car. 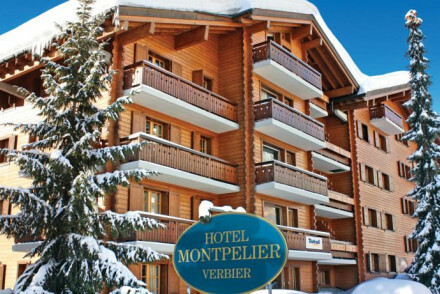 Hotel Montpelier is a charming spot sitting right on the slopes of Verbier. The traditionally decorated rooms and suites boast beautiful mountain views from large windows or balconies. The in house spa offers ultimate relaxation and a hearty breakfast buffet sets you up for the day! Cutting edge, boutique hotel. Standard rooms boast complimentary ipods and docks whilst the penthouse suites offer fireplaces, terraces and private jacuzzis. An uber chic bar and restaurant for evening entertainment and an indulgent spa. A chic choice. Total relaxation - Unwind in style with a spoiling spa treatments and fantastic cocktails and cuisine in the open-kitchen restaurant. 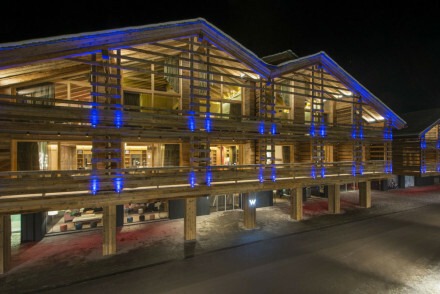 A happening Verbier hotel with a popular late-night venue. The traditional Swiss chalet facade hides sophisticated hip interiors featuring fitted designer carpets, statement furniture and soft lighting. Cosy rooms are homely yet elegant, some with fireplaces. Expect top-notch cocktails and cuisine. Elegant hotel ideally placed a stone's throw from the main lifts. Spacious south facing rooms have stunning views of the Grand Combin and Mont Blanc Alps. Cosy yet contemporary wood panelled rooms. A charming bar and tea room. The perfect combination of laid-back luxury. Families - An extensive selection of activities, conjoined rooms and a large play area make this an ideal option for families. Active Holiday - Set in the ultimate adventure playground of Verbier with a wide range of winter and summer activities. 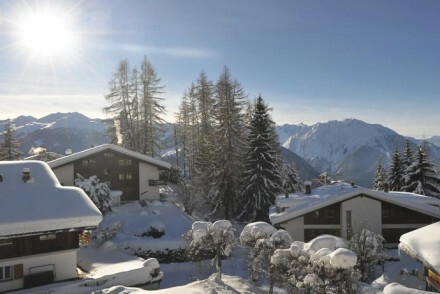 Panoramic views from this charming and peacefully positioned luxury hotel by Savoleyres - Verbier's only five star! Individually decorated rooms most featuring south facing balconies. Spend evenings relaxing in the spa or dining on exceptional cuisine. A luxurious mountain escape. Families - A charming resort on the edge of the village boasting excellent services, cuisine, views and good old-fashioned Verbier style. 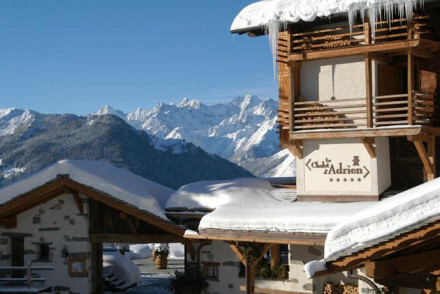 A luxury hotel right in the heart of Verbier. Cosy rooms keep the traditional alpine pine features yet in juxtaposition to this find free-standing in-room baths and slick contemporary furniture. Gourmet cuisine is served up in the restaurant and a nightclub takes care of apres-ski. Very chic. Active Holiday - Located in a world-class ski resort and with the mountains offering a host of other activities. Skiing - World-renowned for its slopes and with something for all abilities. Romantic Break - Cosy rooms with in-room free standing baths. A traditional mountain lodge situated in the heart of the village, close to the ski slopes. Chic and charming rooms with wooden floors, warm interiors and cosy fireplaces. A relaxing spa, an award winning restaurant and an indoor pool for your enjoyment. A great base to explore Verbier. Romantic Break - The perfect mountain getaway, with warm welcoming bar, roaring fires in room, huge bathtubs, great food and lovely views. Foodies - La Cordeé, has been awarded Gault et Millau - 2 toques for its gourmet cuisine. Local exploring - Ideally located close to the village centre, and the ski slopes and lifts. Local markets - Discover local restaurants and shops that litter the village, just a short walk from the hotel.